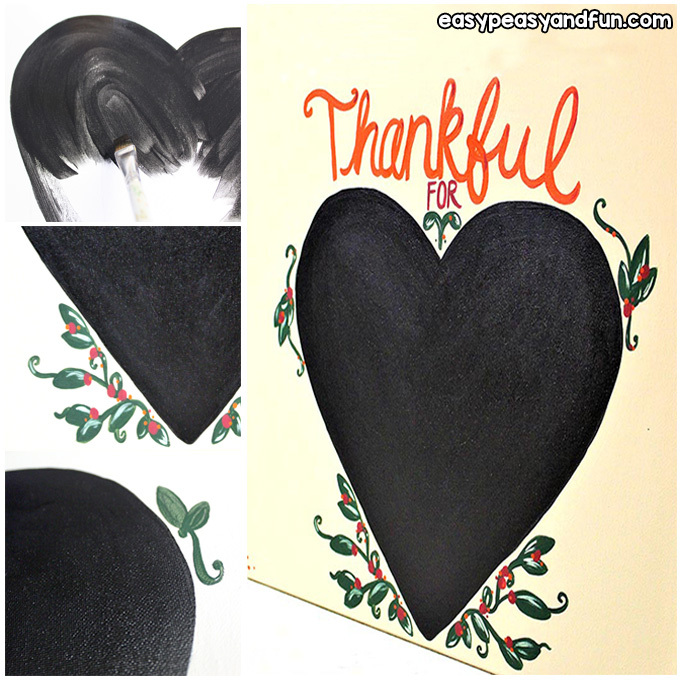 This art tutorial will teach you how to makea Chalk Paint Heart Thanksgiving Art Project – this can be one of the easiest projects of acrylic painting for beginners as you can make the background super simple or really detailed. 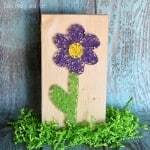 This canvas art is a great one to do for that time of the year, but it could be painted in other colors as well and left up all year long too. 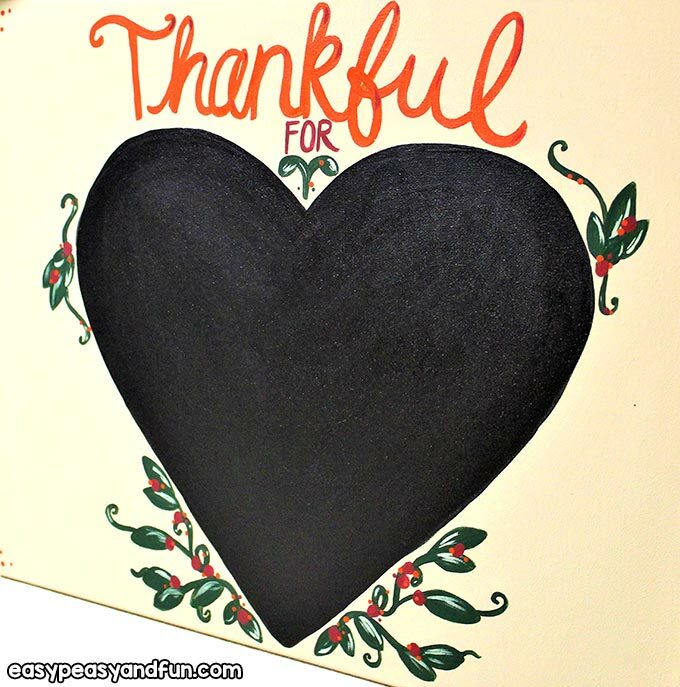 The Fall season is a time people tend to get really into decorating, and also reflecting on what they are thankful for most. 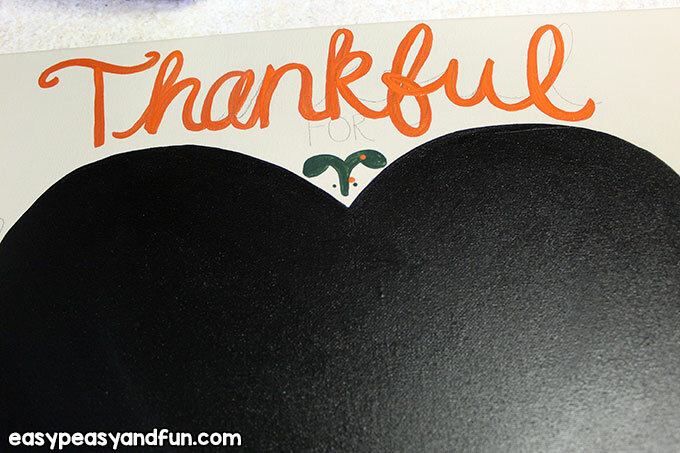 If you prefer not to try your hand at painting the letters, you can do a busier background with more colors or design on it, and just leave the writing for the chalkboard heart. My best advice for the lettering is to use a very thin brush and pencil it on first before you paint, but we will go over that in a minute. 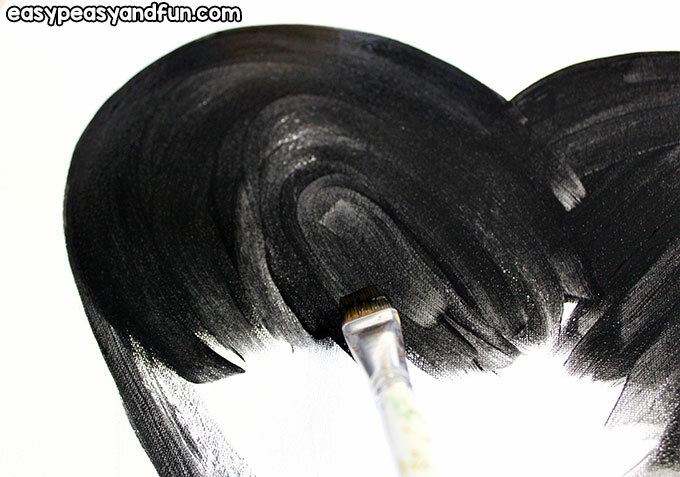 To begin, you will want to draw the heart shape on the canvas first before pouring your paints. 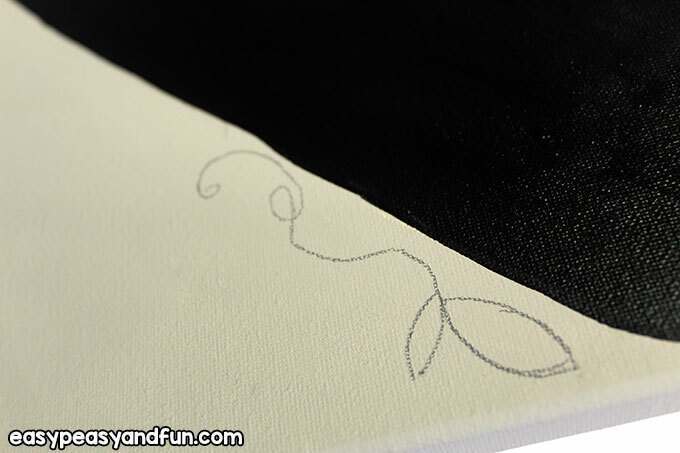 Draw lightly so it doesn’t leave any indentation in the canvas and have a good eraser. 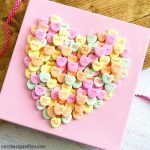 If you have trouble getting the round parts on the heart to match, you can take a small plate, like a teacup saucer size, and use the edge of it and draw around it, and then fill in the other angles from there. 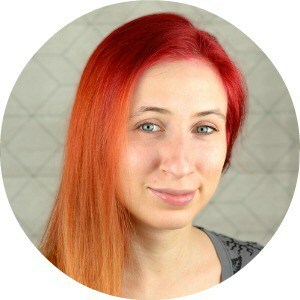 Some people find that to work well. I sketched mine freehand, but I also erased a few lines until I got it right. 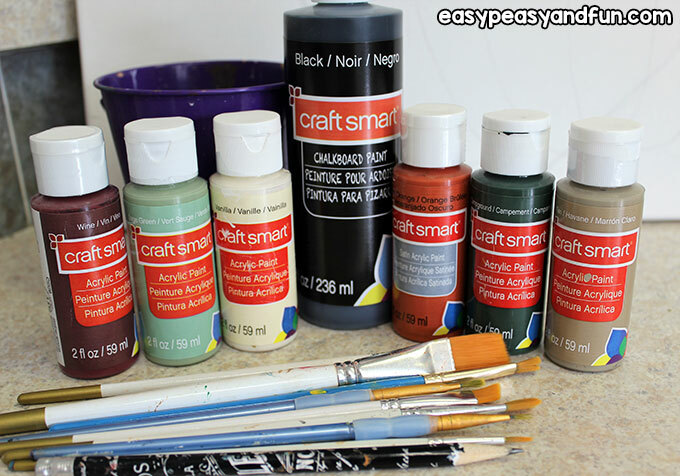 Brush off any eraser shavings before starting the paint process. 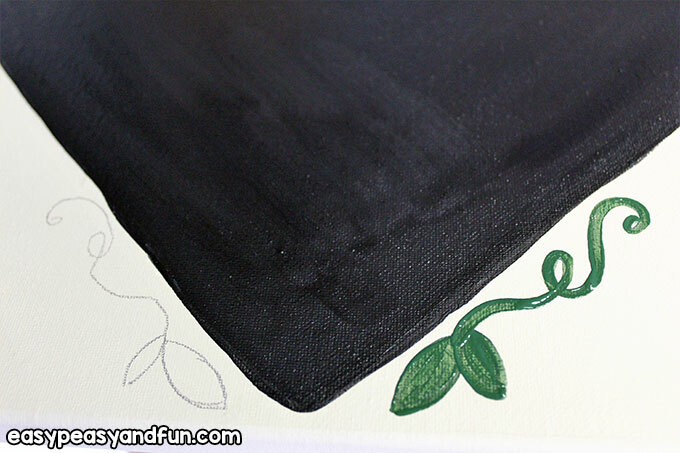 Go ahead and pour both your background and chalkboard paints into the plate or palette. The rest can wait, as this part takes the longest and those paints will start to dry out in the meantime. 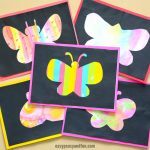 As you do this painting, each time you take out a new brush to use, dip it in the water to loosen it up and then blot it on the paper towel to remove excess water before you dip it in the paint. 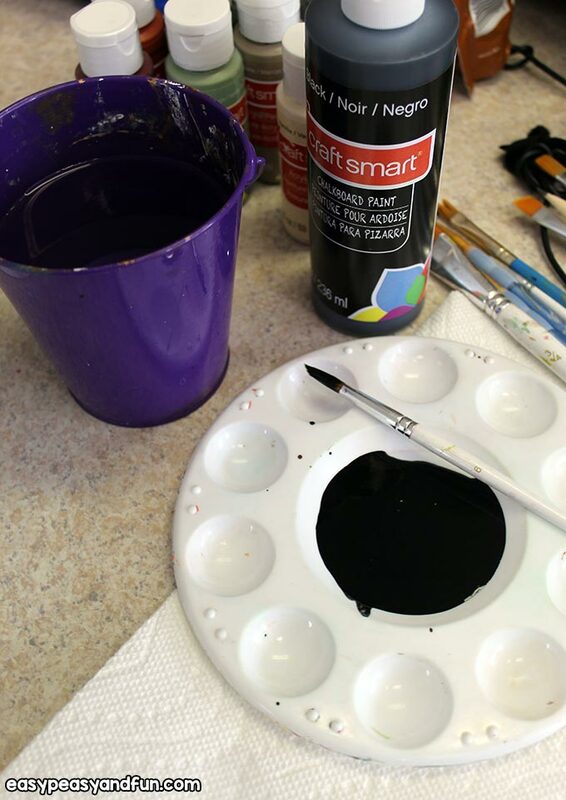 You don’t want any water mixing in with the paint, as it will make it runny and cause streaks, but this helps the paint move better and loosens up a stiff brush. 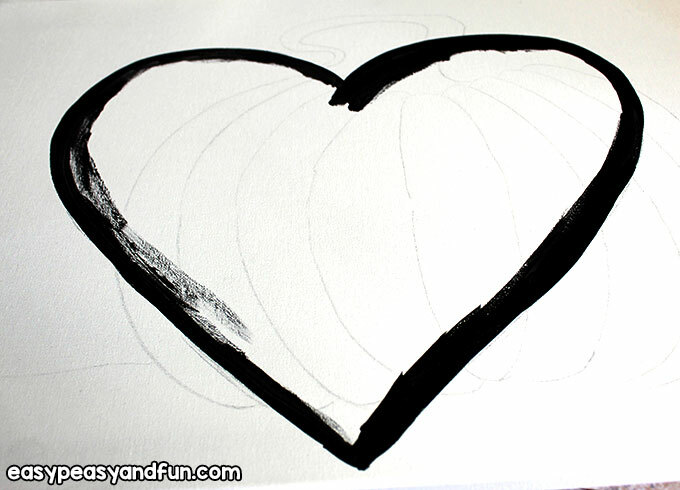 Using a thin brush, medium sized or smaller, whatever you are comfortable doing lines with, outline the heart first to establish that line there and to help keep you in the area the whole time. 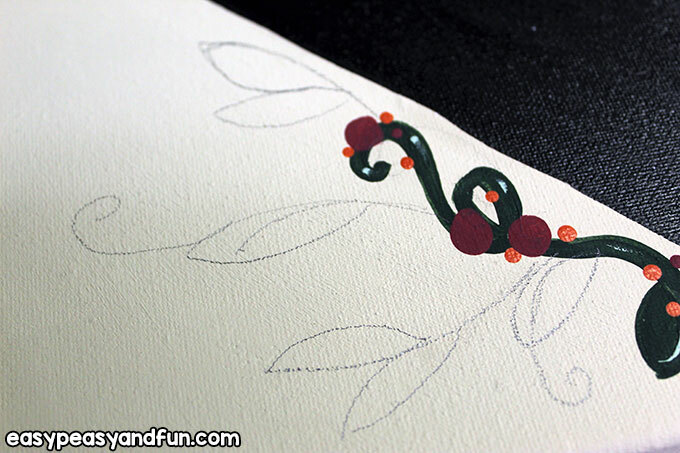 Then, once you have the whole outline done, go ahead and use a larger brush, like a 1” flat edged one to paint in the rest. I tend to find that painting in the same direction helps it fill in better. It will take 2 to 3 coats to get it nice and solid like you need to use it for chalk, so that is why we are starting with this and not the background. Get one good coat on it, and smooth it out if you have any areas where the paint is chunky before you go on to the next color. 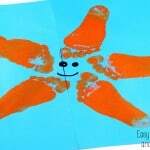 Place your brush in the water and clean it off too, then set it aside for later. That paint is thick and sticky, you don’t want it ruining the brush and drying on there. 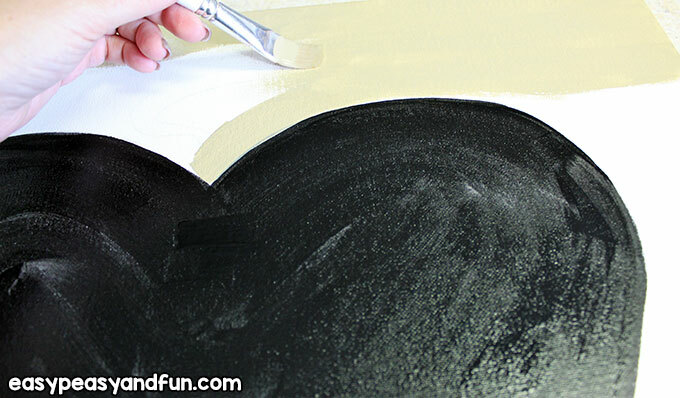 Now you can repeat those steps with the background color – outline the heart first with a thin brush, around the outside of the edge you painted in black, and then come back in with a bigger brush and paint the rest in. 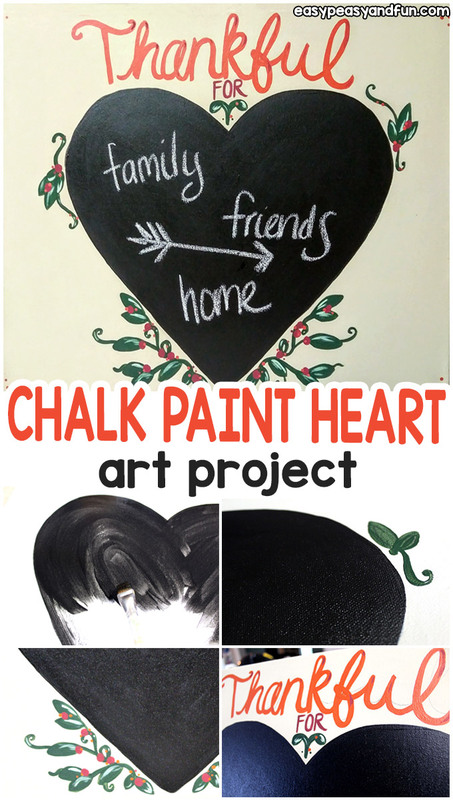 Depending on the color you chose, it may take more than one layer, so just alternate between the chalkboard paint and it until you get them both solid, smooth and can’t see any paint strokes or canvas popping through. 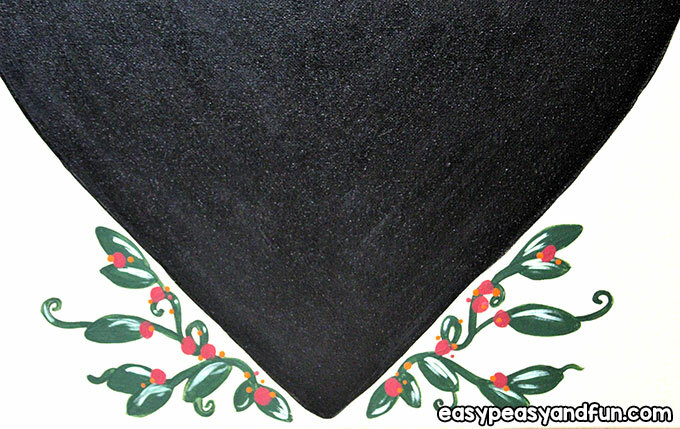 If you are doing a patterned background or adding more than one color, go ahead and do that as you go, between layers of chalkboard painting. 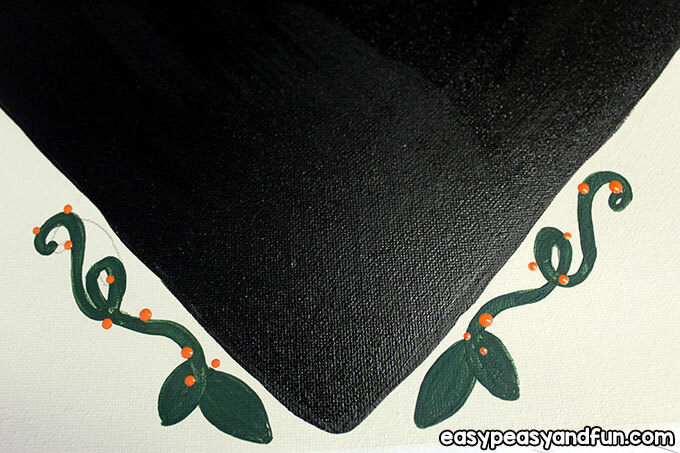 Allow enough time for the background to dry before you go on to adding any accents, like the vines I did. Now, take your pencil again and sketch on your designs before using your brush. 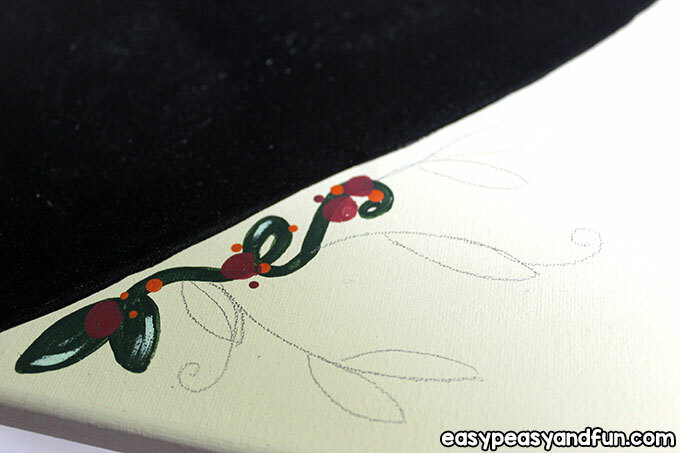 … and then drew small leaf shapes here and there mirroring them on the opposite side. I also sketched on the lettering at this time as well. The best way to do the lettering is to find the center first and figure out how wide you want the lettering to go. Then, draw the first letter, last letter and center letters before drawing the ones between, keeping them as close to the same size as you can. Consistency is what makes it look professional. I would advise you not to go too small so that if you are across the room it is not difficult to read. 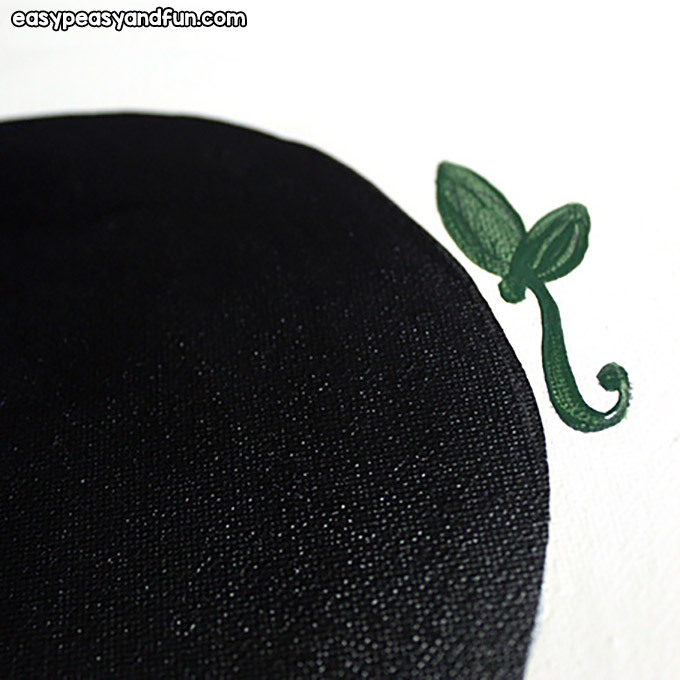 You can make cute dot accents if you like but flipping the brush over and using the tip of the handle. Dip it in the paint and make dots. If you are scared to try cursive, do a simple printed version instead. Paint the letters in with a very thin, small brush. You can always thicken your lines, but you can’t make them smaller. I tend to paint one thin layer of the letters first and then add a second on to make them a bit thicker. Same goes for your vines or other smaller details. Start small, then add on. Most of the colors I chose, like the dark green and the wine color, need two layers so go back and see if you can see through them, and if you can, do the second layer. This is much easier than trying to paint them. Add any more details you like, you can build on the vines to make it less simple. The last step in the process is to paint on highlights to make everything pop and stand out. 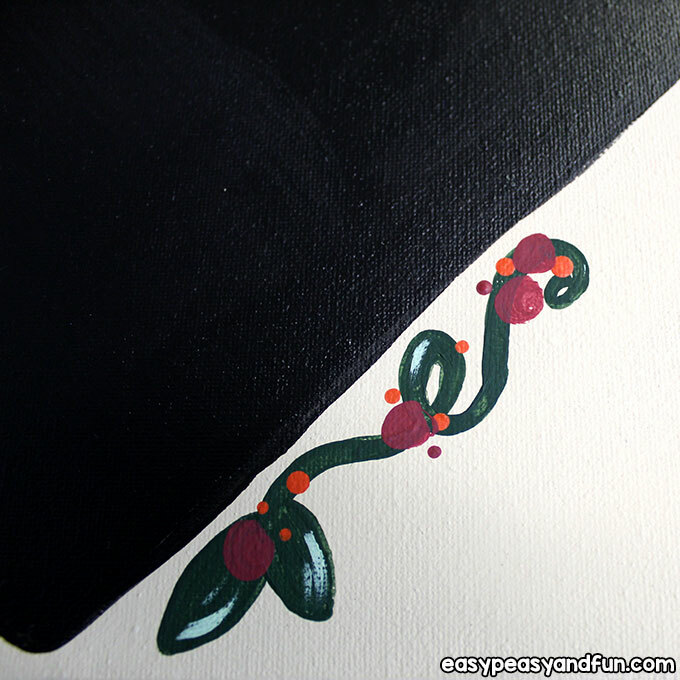 I used wine color to put small berries in random places on the vines too. 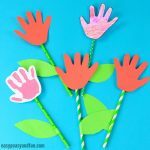 On the vines and leaves, use a lighter green to add some highlights and depth. Things like arrows or simple wavy lines can be a good accent too. On the letters, choose a lighter shade of the one you used. 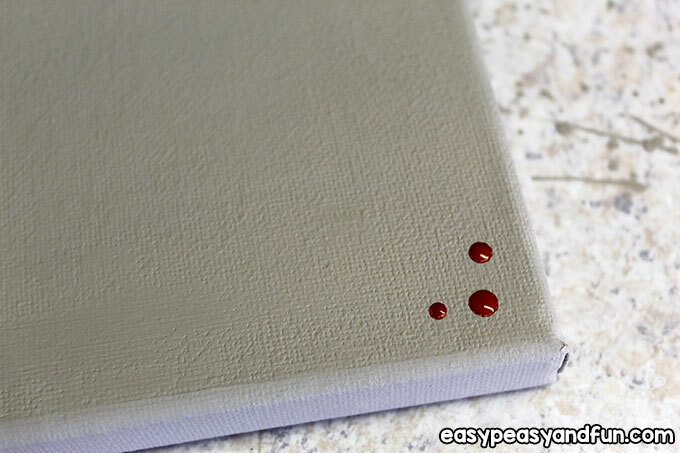 If needed, add a touch of white to that same color and use that, or use a vanilla or white. Add little half circle or dots to the curves on the letters here and there. At this point, if you are done adding your accents, just check over the whole painting to see if anything needs cleaning up, like edges on the heart, or lettering, and once you’ve done that, you’re all set! 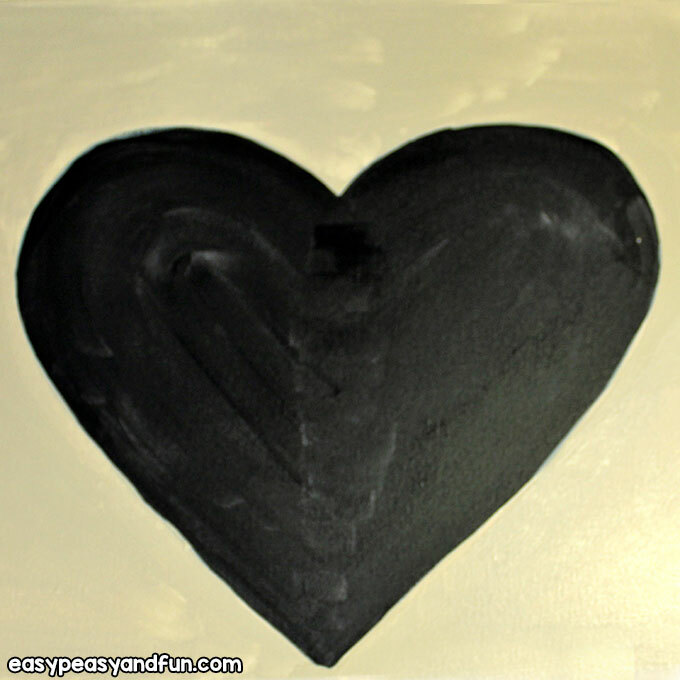 Use chalk to write on the heart as you feel led, and you can easily remove it with a damp cloth.